We have been wondering what it would be like to bring couch Gamers and First Person View (FPV) Pilots into one room or rather in one field for an intense world of Mixed Reality (MR) competition? Walkera MR Drone Games are not only Virtual games, but a Reality concept that is applied to Drone Racing. Pilots actually fly their GPS racing drones into virtual Funnel Gates or shooting on virtual targets. Thinking of designing three Real Flight modes: Battle mode, Race mode, Classic Collecting mode. In Battle mode , FPV pilots will begin an intense battle with virtual targets. In Race mode, pilots compete on an Agility Course featuring various obstacles, funnel gates and hairpin turns. Lastly, the classic arcade game, pilots collect as many gold coins with precise FPV skills. If you are not ready for the real flight, switch to Training, pilots can practice with a virtual drone using your personal tablet or phone. Now what do you think of that?. The first MR Drone Game, more ideas and development to come. First Impression, this quadcopter is very fast and can take a nice punch (vertical take-off). It is easy to fly if you have flown a quadcopter and have mastered your flight orientation. The XK radios are well made as always, but the spinning dial that gets in the way of your palm is still there on the right. The beeping spinning dial is not in the most practical position to reach while flying, but for this aircraft, it is only used to navigate the menu. The material of the aircraft is made of a mixed of carbon fiber structure with light-weight Acrylonitrile Butadiene Styrene (ABS), a common thermoplastic polymer (also used by Lego), strong but will still destruct on direct impact on a high speed race. It does not break easily out in the field, if it just falls out of the sky, as the total weight is only 205 grams. Version 2, great for the beginners, auto flips and returns to rear facing. This is a trade-off for experienced pilots who are looking for “acro” modes. You can easily spend 12 minutes on each flight, setting up and flying. The actual flight may last 5-10 minutes from our tests. On a Mode 2 radio transmitter, throttle stick is on the left. Power on your radio transmitter first, make sure your throttle stick is at the lowest point. Check to make sure all your switches are up (position 0). Connect your battery to your copter, lay the copter flat on a hard surface immediately. This will allow the copter to self-level the gyroscope. Once the red and yellow stops flashes stops, you have successfully bind with the radio. A green LED indicates you are in 6-axis gyro mode and a red LED indicates you are in 3D mode (aka Acro). To fly, flip the throttle hold switch down “on”, the copter is now live. To lock (disarm), move your left throttle stick down to the lowest point and flip the throttle hold switch back to “off”. The copter LiPo battery may get a little warm after each flight. When the voltage is low (7 volts), you should manually land within 30 seconds to prevent the battery from over-discharging. Over-discharging a LiPo battery below 3 volts per cell, can permanently damage the battery. It is best to let the LiPo cool down before the next charge. There are dual rates assigned to the right switch. The XK X251 is swift with precision responsive controls. In terms of ranking, I would say it is in the top 7 favorites during this release recorded May 2016. (Current Picks dronemission.com/top5). Introducing Walkera Rodeo 150, a unique and slick looking 15 cm size quadcopter, with a mix of racing drone aerobatic features from the F3 flight controller, and the classic Devo 7 radio transmitter programmability. 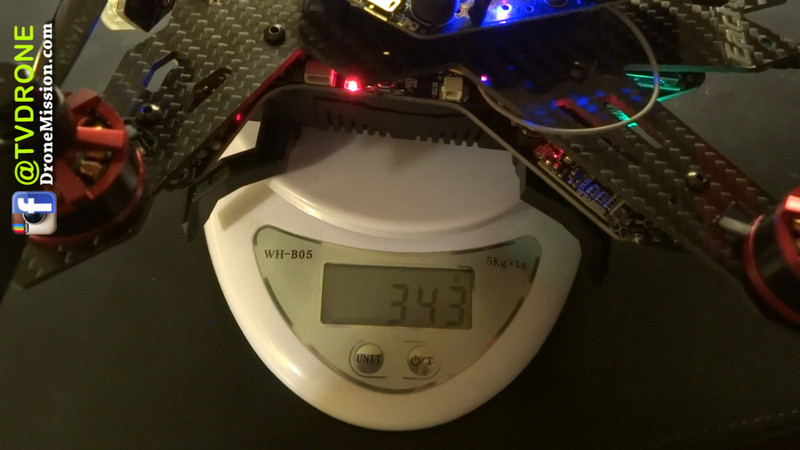 The quadcopter was designed to weigh less than 0.55 pounds for hobbyist who rather not register with the FAA in the USA. It is not a full fletch racer but a speedy mini quadcopter with brushless motors, a category of mini quadcopters gaining popularity recently. First Impression, we love the Rodeo 150 design and the color scheme, a mini-me of the Walkera F210. Kudos to the Walkera drafting engineers. You can use an external receiver, which means you can use any programmable radio transmitter you may already have, making this a popular BNF quadcopter. The material used is light-weight Acrylonitrile Butadiene Styrene (ABS), a common thermoplastic polymer (also used by Lego). It is impact resistance, but not strong enough to take a direct impact against a tree or slamming onto concrete. You can easily spend 11 minutes on each flight, setting up and flying. The actual flight may last 6-8 minutes. On a Mode 2 radio transmitter, throttle stick is on the left. Power on your radio transmitter first, make sure your throttle stick is at the lowest point or you will be reminded with beeps to do so. Check to make sure all your switches are up (position 0). Connect your battery to your copter, lay the copter flat on a hard surface immediately. This will allow the copter to self-level the gyroscope. Once the red light flashes slowly, you have successfully bind with the radio. Move your left throttle stick down to the lowest point and to the left, to unlock (arm) the motors. The copter is now live. To lock (disarm), move your left throttle stick down to the lowest point and to the right. The copter LiPo battery may get a little warm after each flight. When the voltage is low (7 volts), the copter red lights will begin to flash quickly and begin to sound an beeping alarm at the same time. You should manually land within 30 seconds to prevent the battery from over-discharging. 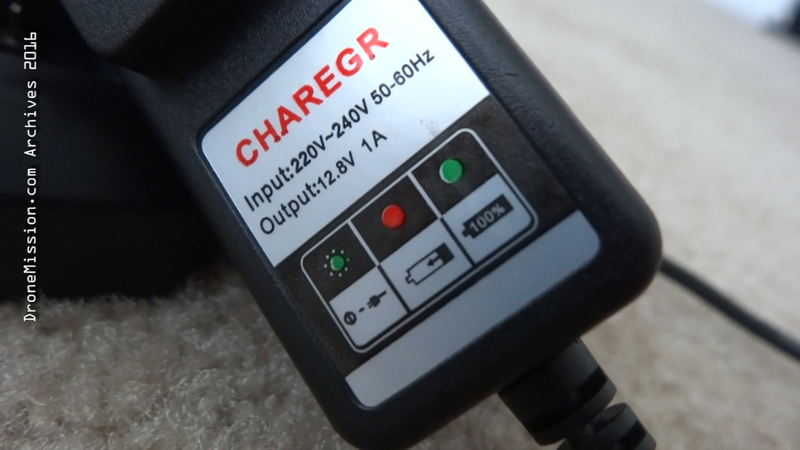 Over-discharging a LiPo battery below 3 volts per cell, can permanently damage the battery. It is best to let the LiPo cool down before the next charge. There are three flight modes, Stabilize, Intermediate and Advance assigned to the Mix Switches. You can only flip and roll with ease on Intermediate and Advance mode. The Rodeo 150 is agile. We are currently completing a few more flights before reporting back. Standby. The camera is a sharp 600 TVL camera, capable for night flying. PAL/NTSC. See video for results. In terms of ranking, I would say it is in the top 7 favorites during this release recorded May 2016. An update to follow. (Current Picks dronemission.com/top5). The Orlando FPV RotoRacers, a MulitGP league located in Florida will host the world’s first Formula Race F210, where pilots will fly the same model, the Walkera F210, on a “spec” formula race. This will put the pilots to a test of skill with the same radio transmitter, same racing drone. The winner gets to keep what he or she flies for that race! Rules and format will be defined by the club and registration can be found at MultiGP.com. Come participate for a fun filled fellowship day. Open to the public and free to attend. This event is made possible by Walkera, DroneMission.com for organizing and the great team of Orlando FPV RotoRacers. May the best pilot wins! Additional Information: Pilots will compete in qualifying rounds in the morning and the top 3 pilots will compete in and for the Walkera F210 at the end of the day. Walkera does it again, taking the guesswork out of putting together a 3D racing quadcopter drone. F210 3D is a quadcopter with an optimized F3 flight controller paired with reversible electronic speed controller (ESC), allowing you to reverse the motor at mid point to fly upside down in a 3D manner. At flight mode 0 (FMOD=0 factory default) normal flight takes it toll 2D, flip the switch to FMOD=1, take-off in 3D mode, motor brakes and reverses at mid-point. F210 3D is upgraded with faster receiver response time, stronger frame, and superior low lux Sony HD camera. Pre-installed with a 5.8 gHz video transmitter and On Screen Display (OSD) to assist pilot in flying and replaying every favorite scene of a flight. •Replace your racing propellers to 3D propellers. •After binding the radio transmitter, you turn the FMOD switch to 1 or 2. •You now unlock (arm) at the midpoint, by moving the Rudder (Yaw) stick to the left side and hold for more than 2 seconds. •You will see the right red LED light keeps on and buzzer issues a “B B” tone, indicating the motors are unlocked. •be very careful now, at this point pushing the throttle up above midpoint will start the motors and lowering below midpoint will reverse the motors. • To STOP the motor instantly, flip the switch to 2D FMOD=0, and lower your throttle to zero and right (lock to disarm). This also acts as your safety switch. 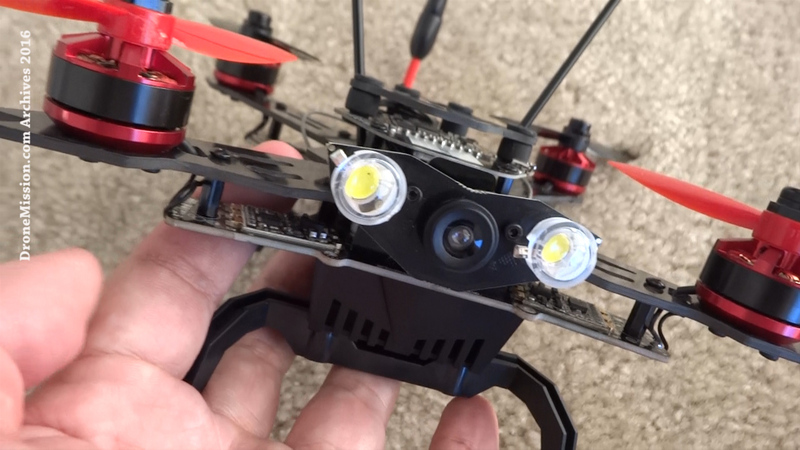 Please note, your original F210 can be 3D too, you just need the 3D props and program it yourself (ESC), or you can buy it ready RTF from Walkera. Your Devo radio are programmed exactly the same. Complementing with the F210 3D is the Walkera Goggle4, a HD Headplay with 40 channel and DVR, dual diversity antenna with a 1 km 5.8 gHz video range. We are beta testing this 3D quadcopter this month. Planned release date May 2016. The scorpion looking racing quadcopter has arrived with built-in OSD GPS NAZE32 Ready To Fly. 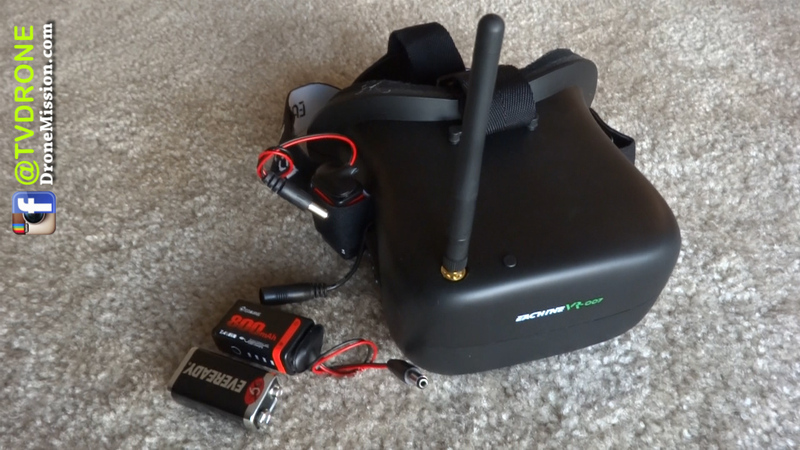 Eachine Assassin 180 FPV, VR-007 HD Goggles with the I6 transmitter. The 180 racing quadcopter flew really well, it handled a RunCam HD camera 43 grams with ease. I have not found any issues, no bad flight characteristics. On a Naze 32 flight controller, it was easy to maneuver and I give it a thumbs up. If you have flown quadcopters manually, this is easy. For beginners, please note, it is not a drone, it is not going to auto land or auto return home. Unboxing, I noticed the GPS is glued under the tail plate and actually fell off. Taking a look at the schematics, it seem to be intended to be on the front. However since I may be placing a secondary camera just above that spot, I decided to move it face up, keeping the same location it came with. I think it fits well there. You can see it on my FPV video. The GPS does not serves much, it is not intended for Auto Return Home, but just only to assist with directions. The landing skid is made of plastic, so it bounces off concrete, I had to land on grass only, unless you add some padding, which is an easy mod for a hobbyist. The only set back on this Ready to Fly package will probably lies on the battery design. The general consensus is; not only is the battery proprietary, you are not able to tell if all the cells are fully charged, and the adapter indicator is not accurate at all. Lessons learned, when the adapter LED turns solid green, you may not get a fully charged battery. It reminds me of mine Nintendo Wii charging station. it never fully charges. The only easy way to tell if the main battery is fully charged is to either press the smart battery button or to look at your On Screen Display voltage status. However on the plus side, when the battery is low, not only does it show on the OSD as a warning, but it shows on my transmitter and the alarm eventually begins to sound. The 180 quickly descends and will not power up again to protect the battery. Note that it does descend, hard landing and not return home. VR-007 goggle. I like it. It is comfortable and light, and if you are planning on building one yourself, for $60 plus dollars, this might be worth the consideration to just buy it ready. I have not tested the 40 channels, but if it is accurate, this will include the alpha, beta and race channels. I like the two usb smart batteries provided. I believe they will work on other goggles, so if they are priced well, this may become popular. Delicate and compact, light and portable. NAZE 32 flight controller, high stability flying. Integrated barometer, electronic compass, acceleration sensor, GPS. 520TVL, highly integrated, supports HD night flight. Camera angle is adjustable. Highly integrated camera, recording every moment of flight experience, experience colorful life! Built-in OSD to display flight altitude, flight speed, course, battery voltage, image transmission frequency. OSD data will popup a window to remind low battery and the drone will also have flashing taillight and alarm. Smart battery, 3S 1000mAh, extractable and quick-release design, easy to replace. Using lithium polymer battery, performance security, quick charge, abandon the traditional balance charger.